Sewing Gifts for the Holidays: To Infinity and Beyond! I kept Christmas present sewing to a minimum this year. I made some infinity scarves for my sisters-in-law and a half of a shirt (with the other half promised as soon as possible!) for my husband. Today you get the scarves. 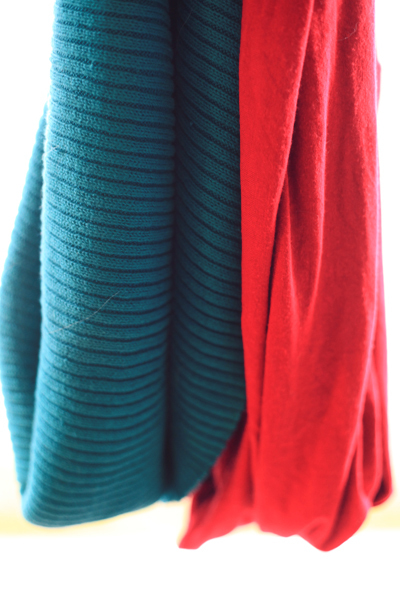 The red is made from a beautiful drapey knit that was part of the stash giveaway from Susan. 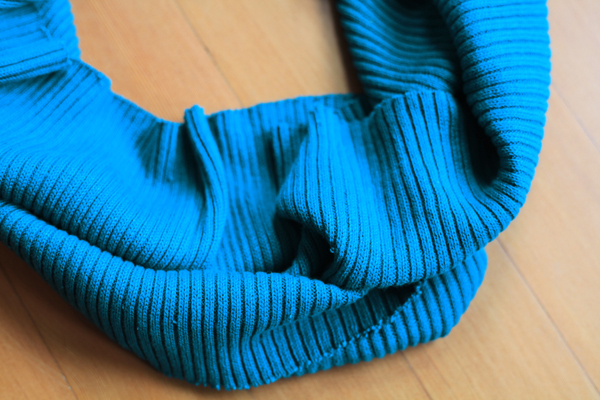 The teal is a ribbed sweater knit that I picked up at FabMo ages ago. Or, doubled up as on my dress form below. These scarves were really easy. For the red I began by cutting off one yard of the several yards I had on hand. 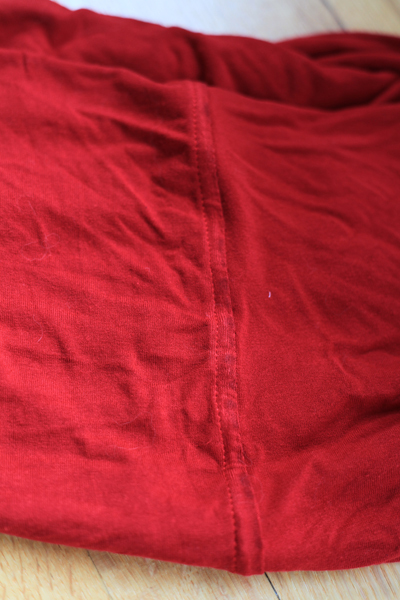 I then folded it in half, right sides together, matching the selvedges. Then, I sewed along the selvedges to form a loop of fabric. I trimmed off the selvedge ends and used my walking foot to flat-fell the seam for a nice finish. Would you believe this is my first ever flat-felled seam?! For some reason I thought it was going to be a lot trickier than it really was. It was so easy it motivated me to flat-fell the seams for my husband’s Christmas shirt! When I picked up the teal from Fabmo, it came as one long knit tube. Does anyone know why it would come like that or what it was meant for originally? 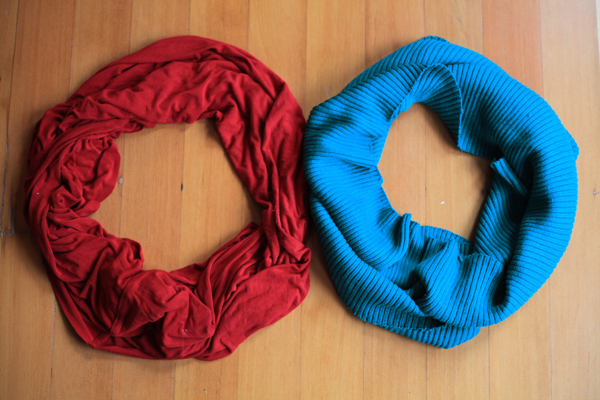 I never could figure it out, but it seemed perfect for an infinity scarf since all I had to do was cut it to size. 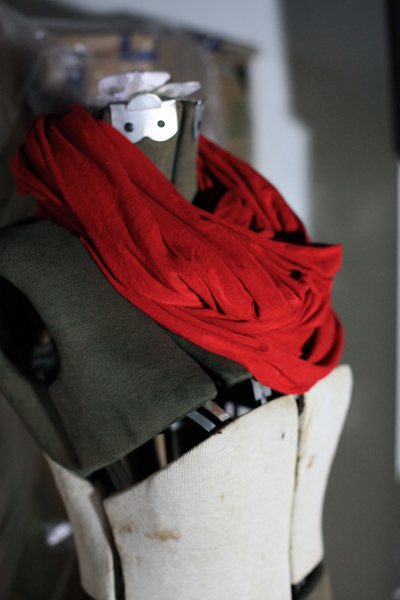 A no-sew scarf! Now, what’s the fun of that?! Okay, now it’s your turn! Did you craft for the holidays? 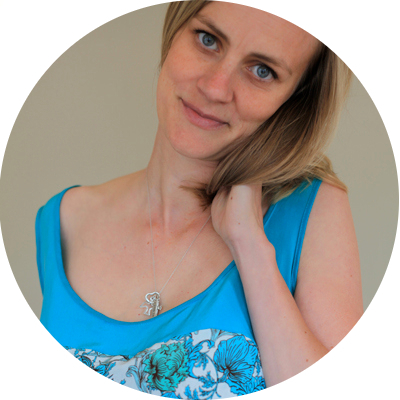 If so, did you go all out or did you take a minimalist approach, like me? What are your favorite things to sew for others? Previous Post Here’s to 2015! These are really cute, I love the idea of using a fat felled seam, I’ve only done one once before and I’ve actually never thought about using it for an infinity scarf, which has led me t pass up many cute (and squishy!) knit fabrics because I couldn’t think of a way to make the seam neat! I made some of these as gifts as well! Perfect easy gift. These are so pretty and make great gifts! Lucky recipients! Oh, and rib knits are often knitted in a tube. It’s pretty common to see them in the Garment District. Infinity scarves are always lovely presents. I love your colours! I totally craft for the holidays. 95% of my gifts for handmade/machine sewed. 🙂 Feel free to check out my blog for pics on projects made.